What is taught in Yoga 200 hours Teacher training? After the completion of Yoga teacher training you will be able to teach dynamic flow class with vinsaya and sun salutations or Hatha Yoga style class with focus on asnas and deep stretch. Our Yoga Teacher Training is certainly unique. Yogis or Non-Yogis, Desk Jockeys or fitness professionals, Beginners or Advance students all are welcome to join teacher training. You do not have to be a yoga expert to sign up for teacher training. The teacher training enhances and deepens your practice that leads to healthy and spiritual life style. We help to create an inspiring, deep and centuries old yoga practice, while providing thorough preparation for the aspiring yoga teachers. We are honored to bring together the yogis who are living the life of yoga in 21st century as a part of our faculty. They have been practicing yoga since their childhood and learn from the land of yoga. This has given them unique ability to connect with the new students. Our Yoga teacher training meets and exceeds the Yoga alliance teacher training standard. Traditional and authentic style of teacher training offered at Hot Yoga Toronto attracts existing Yoga instructors to advance their practice and teaching skills. After completion of the entire training program, you will be eligible to register with Yoga Alliance under RYT 200 category. There are approximately 8.4 million Yoga Poses. These poses represent 8.4 million species on planet earth. Science agree that at any any given point of time there are approximately 8.4 million species on planet earth. Most people can practice about hundred poses and their variation. Some people can practice few hundred poses and their variation. 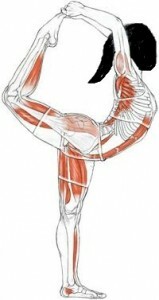 Yoga instructors or Yoga teacher training students have potential to practice Beginner, Intermediate and Advance poses. 1 month teacher training and 3 months teacher training, offers the parameters, framework and discipline to enhance the teacher’s own practice, which is the most effective way of becoming independent and confident teaching. Teach yoga as a hobby or to their friends and relatives. Find moments of peace in this fast paced and stressful life. Training begins at 8:30 am on 1st day of every month and ends at 28th day of every month. There is additional $50 + Tax* non-refundable application fees. Full Payment on or before course start date. $1500+hst on the course start date. $1500+hst 10 days after course start date. $1000+hst on the course start date. $1000+hst 1 month after course start date. $1000+hst 2 months after course start date. $500+hst on the course start date. $500+hst on the 6th month. Some mornings will start with the practice of Yoga asana and others will start with the practice of pranayama. No prior experience is required for pranayama, however some experience is welcomed for poses. Meditation will be practiced after every pranayama session. Most classes will be led by Gourav, Rishi and Rahul the training Facilitators, however there will be other guest teachers who are also experienced Yoga trainers. Each class will focus on growth, exploration, enhancement, healing, improving strength, flexibility, endurance along with proper breathing. A variety of different teachers with their own unique teaching styles will provide you the opportunity to observe and cultivate your style and confidence. All students will be provided with the opportunity to practice yoga teaching in a small group with your fellow students. Each student will be given feedback to improve upon their own teaching style. These sessions will boost your confidence and enhance your practice allowing you to improve your teaching skills. Use of visualization to convey information. How to create supportive environment for New Yogis. How to prepare for teaching. When a new student comes up to a yoga instructor and says I unable to touch my toes. Modification/ adjustments are the best friends of students and Yoga instructors. In this module/section trainees will learn how to modify and make adjustments for the different needs of the students. Some students are stiff others are flexible. How to accommodate these students in a class is a challenge. This challenge can be turned into an awesome experience for the students by modifications and adjustments. Using verbal and hands-on adjustments, or just by using verbal choreography and body language, without hands-on adjustments. Ancient yogis have put a great emphasis on the practice of pranayama. Exploring spiritual significance of pranayama to the anatomical effects of it. Learn how pranayama can help in the practice of yoga poses. Learn how pranayama can help to relax a wandering mind. Vadic/Sanskrit meaningful words addressed to God and or Demi-God that helps control the part of mind that influence our senses and desire. Chanting is repetition of those mantras. Great yogi Swami Swatmaram has described Bhandas in his famous book Hatha yoga Pradeepika. Bhagvad gita, Patanjali Yoga sutra, Hatha yoga pradipika. Teacher trainees will be required to give a short presentation on some topic. Topics could be provided or chosen by the students. This will provide opportunity to share their experience with other students. This will boost their confidence and prepare them for teaching in real class room. Etc. All the students successfully completed the Teacher Training course are given the opportunity to teach yoga class. Gourav started practicing Yoga when he was 8 years old. Like most Yoga students, he began by learning Yoga poses. By 10 years of age he was competing in Yoga championships. He won a few Yoga championships in India. But his quest for Yoga did not end at Yoga poses. He travelled to North India to the Himalayan Mountains to feel Yoga! The feeling of Yoga in the Himalayas took his Yoga practice and Yoga teaching to the next level. Gourav learned “pranayama” breathing exercise and “Dhyana” meditation in the Himalayas. Yoga poses coupled with awareness of right breathing, brings awesome results in your fitness and overall relaxation. We invite you at Hot Yoga Toronto to feel an authentic style of Yoga practice. You can’t forget to breathe in Yoga classes. Rishi started practicing yoga at the age of 8. At the age of 12 he underwent formal training and in the next four years won two regional annual yoga competitions. He learned Pranayama can build a healthy body and mind. He came to believe; yoga can not only calm your mind but can also help you develop a strong will, enabling you to do anything. This realization started Rishi’s studies in meditation, chanting and deep concentration techniques. Study of meditation led to the study of mantras, sets of words repeated in your mind during meditations. The Yoga Teacher Training Course start on First Day of every month. For example Jan/01/2018 or Feb/01/2018 or March/01/2018 or April/01/2018 and so on. If you miss first day of your teacher training course than you should cover for that lost day next month or the one after. In case Fist day of the month fall on weekend or Statutory holiday, the course will start on next day. Visit us at Suit – 1B, 1561 Dundas Street West, Toronto, ON M6K1T9 fill out an application form. * When calculating tax, please add 13% with in Canada(5% for Alberta). International students are not subject to tax on the training. ** We accept applications on an ongoing basis. Please note that our training generally fill up quickly. The early you apply, the better! The Hot Yoga Yoga Teacher Training is certainly unique. Teachers can register as a RYT® 200 if they have successfully completed a 200-hour yoga teacher training program that is registered with Yoga Alliance. All training hours must come from the same school and multiple training cannot be combined to meet the 200-hour Requirement. Teachers can register as a RYT® 500 if they have successfully completed a 500-hour yoga teacher training program that is registered with Yoga Alliance. The 500 hours of training can either come from one school or can be a combination of a 200-hour program plus 300 hours of advanced training from a RYS 300. Advanced training is defined as training that requires participants to have completed a 200-hour training. Applicants must also submit 100 teaching hours that were completed after their RYS 200 or 500 training.